A fire in an apartment building in New York City’s borough of the Bronx on Thursday has killed at least 12 people, Mayor Bill de Blasio said. After a local television reporter previously cited a spokesman for Mayor Bill de Blasio as saying that at least six people were dead in the fire, the spokesman responded on Twitter. “Will be more. Horrible,” the spokesman, Eric Phillips, said, adding that the fire commissioner and mayor were en route to the scene. Few official details of the blaze were immediately available. 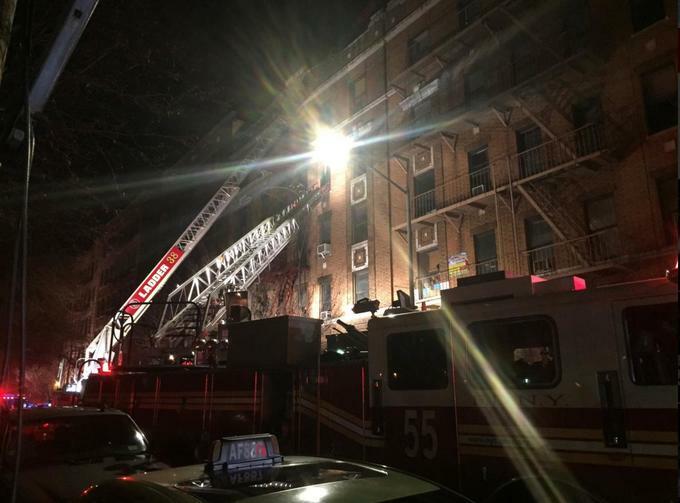 WABC-TV, the New York affiliate of the ABC television network, said the fire erupted shortly before 7 p.m. on the third floor of a five-story building. The New York City Fire Department said on its Twitter account that 15 serious injuries to civilians were reported in the four-alarm blaze and that more than 160 firefighters were on the scene. A photograph posted on Twitter by the fire department showed two fire trucks with two ladders extended to the upper floors of a brick building bathed in flood lights.